Safely and quickly clean, speed up, and backup your iDevice. Is there a better alternative to Cisdem iPhoneCleaner? 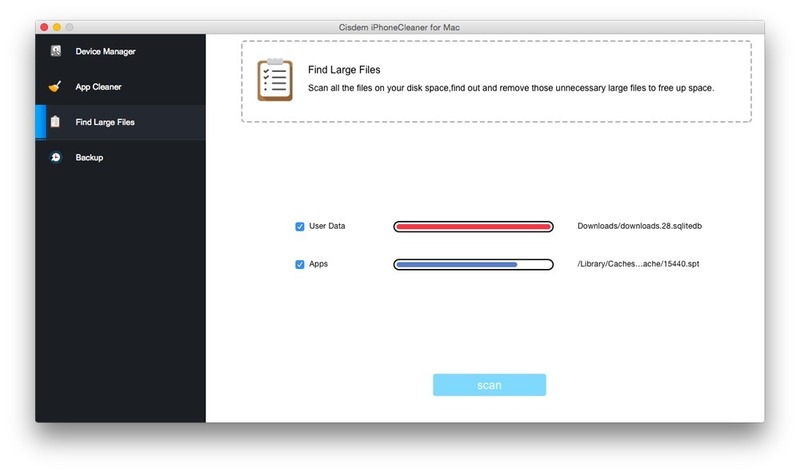 Is Cisdem iPhoneCleaner really the best app in File Management category? 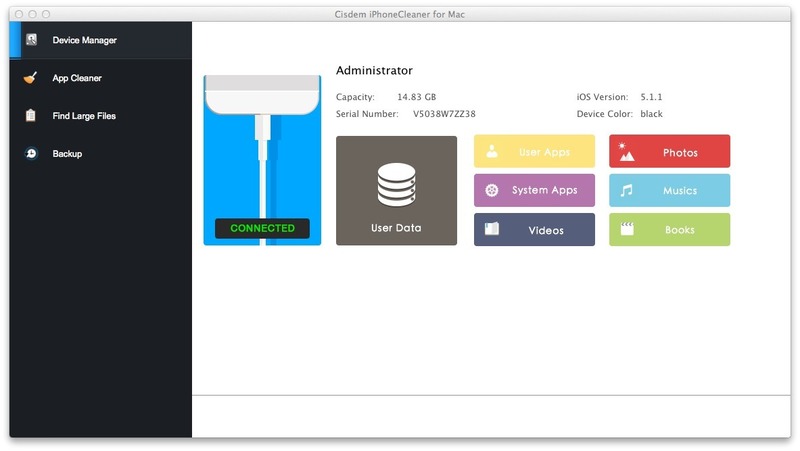 Will Cisdem iPhoneCleaner work good on macOS 10.13.4? 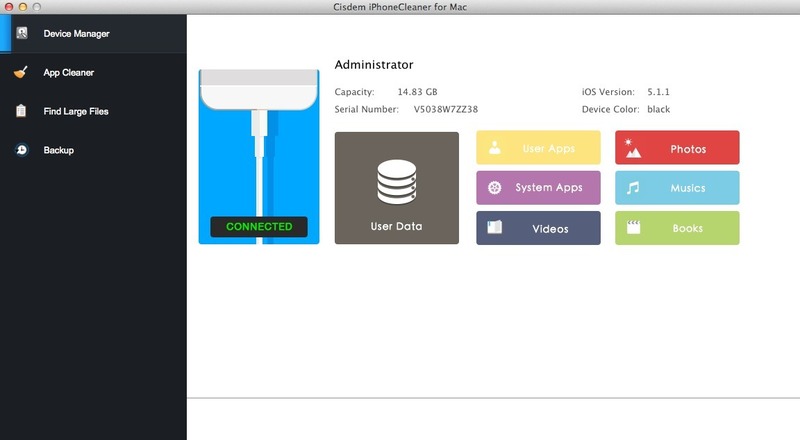 Cisdem iPhone Cleaner is an excellent iPhone-cleaner app! It can quickly and safely clean and speed up your iPhone and also iPad, iPod. With the detailed scanning-analysis report, you can easily clean up your entire iPhone, clean up app junk files, and delete large, forgotten files. What’s more, it can back up the important data onto your hard drive. Clean Up and Speed Up Your iPhone - After digging every corner of your iPhone, iPhone Cleaner will list the size of your files and apps, videos or photos, and then you can easily remove the unnecessary files, uninstall useless apps. If you have installed App, iPhone Cleaner also can help you clean up App junk files, App cookies, App cached and other redundant files. What is more, it can scan your disks, folders, storages, and then display a list of the most bulky content. Then you can delete them easily. 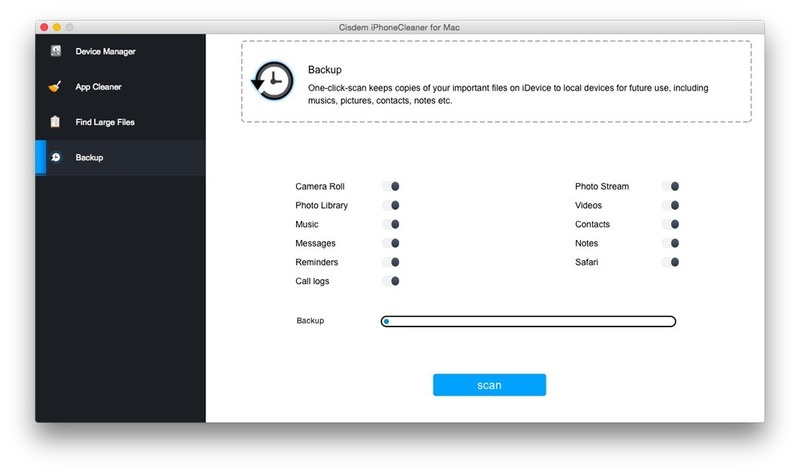 Backup iPhone/iPad/iPod Data with 1 Click - Backup is a key feature of iPhone Cleaner that backs up all important things from your iOS devices. Unlike an iTunes backup which creates an essentially unreadable file of all your information, the One-Click-Scan physically copies the files from your iDevice and plops them onto your hard drive, which is especially useful when iTunes can't recognize your device. Support All iOS Devices - In addition to cleaning content from iPhones, it works well with others all iOS devices. No need to jailbreak your device. iPhone: iPhone 6 Plus, iPhone 6, iPhone 5s, iPhone 5c, iPhone 5, iPhone 4S, etc. iPad: iPad Air 2, iPad Air, iPad mini 3, iPad mini 2, iPad mini, iPad 4, etc. iPod: iPod touch 5G/4G/3G, iPod nano, iPod classic, iPod shuffle, etc.